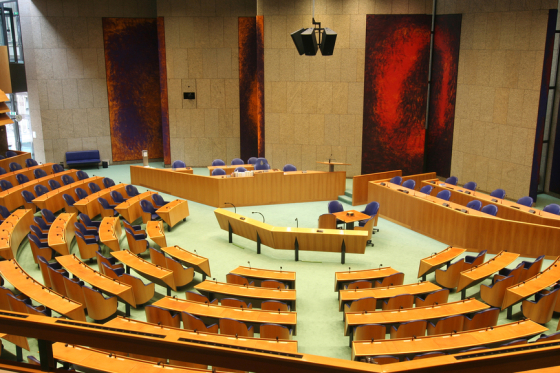 The recent departure of VVD MP Foort van Oosten to become mayor of Nissewaard brings the number of MPs quitting before the end of their four-year term to 13, RTL Nieuws reports. Of the MPs that have left, four have become mayors or aldermen, one accepted a job abroad and eight left for personal reasons. Bert van den Braak of parliamentary documentation centre PDC, said the number of MPs that abandon their post prematurely is not ‘excessively high’. Parliamentary chairwoman Khadija Arib MPs told the broadcaster that MPs ‘should complete their terms.’ ‘I am not happy about it. It is a shame, that is all I can say,’ she told RTL. Political commentator Frits Wester said the turnover has increased considerably in the last 10 years. ‘The profession of MP has become a much more uncertain one. The political fragmentation means some parties can lose up to ten seats at the time. That is the reason politicians run for the shelter of another job when it presents itself,’ he said.